Teamwork with a capital ‘T’! A fascinating talk by Luis von Ahn about new and powerful ways of collaborating. Before moving on to this Post, just a quick word about the next seven days. I’m going to take a small break over Christmas, not by ceasing to publish Posts but by offering you a number of light-hearted items that have come my way. Hope you enjoy them and a very big thanks for the support of Learning from Dogs that you have shown over the year; it means a great deal. Have a wonderful Christmas vacation. This particular Post focusses on a talk given (as below) by Luis von Ahn that is on TED Talks. The TED website is a fabulous resource. The interview was brought to my attention by Lee Crampton of Softdev. Lee and I go back a number of years, to the time when he and I were part of a small group that started up a company that offered online flight briefing services to the airline industry; still running today as it happens. So very happy to recommend Lee, more details of the services he can offer are here. After re-purposing CAPTCHA so each human-typed response helps digitize books, Luis von Ahn wondered how else to use small contributions by many on the Internet for greater good. At TEDxCMU, he shares how his ambitious new project, Duolingo, will help millions learn a new language while translating the Web quickly and accurately — all for free. Watching this video made me muse about the potential for this level of transformation in other areas. Fascinating! Mixed emotions about those other worlds out there. 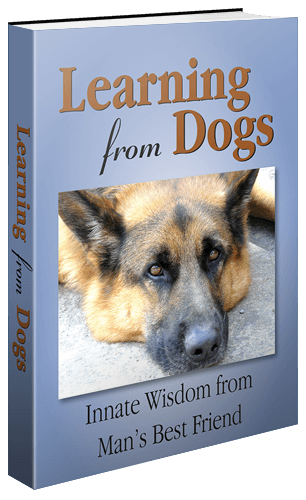 In recent times, Learning from Dogs has been reflecting on the magic, and fragility, of the planet we all live on. There was the photograph of the Earthrise that attracted quite a few comments. That was followed up by the amazing photograph of the Earth from Voyager 1 taken in 1990 from 3,762,136,324 miles away! Then the lovely poem from Sue. So it was interesting to note my mixed emotions to a piece on the BBC News website yesterday. Here’s a flavour. Astronomers have identified some 54 new planets where conditions may be suitable for life. Five of the candidates are Earth-sized. The announcement from the Kepler space telescope team brings the total number of exoplanet candidates they have identified to more than 1,200. 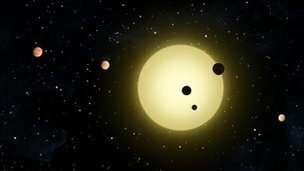 The data release also confirmed a unique sextet of planets around a single star and 170 further solar systems that include more than one planet circling far-flung stars. So here are those mixed emotions. Man has been, and still continues to be, wonderfully curious to the point of spending huge sums of money on projects that appear to do nothing more than satisfy that curiosity. (The (Kepler) mission‘s life-cycle cost is estimated at US$600 million, including funding for 3.5 years of operation, from here.) That’s a beautiful trait, in my humble opinion. Look at all the inventions and incredible advances to our species that are all around us – including the PC I am using and the World Wide Web that is aiding this message! For such an intelligent species as us, why is it that we are treating Planet Earth in such a suicidal manner through greed, pollution and over-consumption! As was reported yesterday, we could be on the verge of total and utter chaos in terms of food. Then also yesterday was a small item about food prices reaching a new global record. It always struck me as absurd to conclude that this planet is the only habitable planet in the universe – ‘Astronomers estimate there are 1021 stars in the universe. With a conservative estimate of three planets per star (some could have many more, some would have none at all) this puts the estimated number of planets into millions of billions.‘ From here. So the data coming in from Kepler is truly astounding and, personally, underlines this era as a great time to be alive. But there simply is no choice in that for decades ahead, if not centuries ahead, Planet Earth is all there is for us. So why do we do it so much harm! Our civilisation is likely to go to the very limits of survivability before the message that the existing ‘model’ is broken is picked up by every major political party in the world. That is very, very scary to contemplate. So it looks as though, soon, mankind will face the ultimate decision of all time. Give up and let the chaos overwhelm us all, or … or what? In other words millions of us will have to live with the consequences of our greed. The ‘or what?’ can only be a faith that it will be OK.
A faith that mankind will use the power of dreams, imagination and energy to create a new future that will, at long last, be a new dawn of democratic and just, integrous existence. And maybe, just maybe, that could be the Second Coming and maybe, just maybe, the world’s Churches and religions will be our saving grace. Finally, here’s that video of the series preview to The Human Spark. 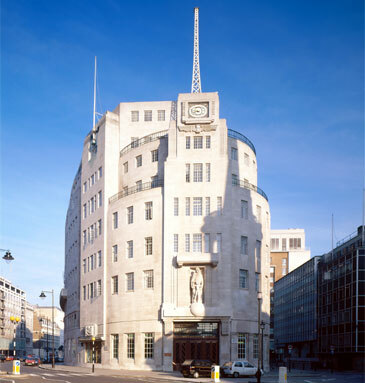 Currently BBC iPlayer TV programmes are available to play in the UK only, but all BBC iPlayer Radio programmes are available to you. Why? However, the BBC have made a wonderful exception with regard to a series of programmes under the title of The Virtual Revolution. All about 20 years of the World Wide Web. Most of, if not all, the key players of this last 20 years have been interviewed and the uncut footage of these interviews is here. Fascinating viewing. And if you fancy making your own documentary using this material, under a unique BBC permissive licence, then here’s where to start.